The Cutting Edge: Managing Skin and Soft Tissue Injuries is organized by Clinical Training & Evaluation Centre (CTEC) and will be held on May 03, 2019 at CTEC - Clinical Training and Evaluation Centre, Perth, Western Australia, Australia. This CME Conference has been approved for a maximum of 40 Points. This workshop aims to assist GPs whose practice includes more extensive management of acute and chronic injuries and is of particular relevance for rural GP Proceduralists. Suturing experience is recommended for participants to benefit from the more advanced procedural sessions. Workshop Content: This highly practical workshop features the following sessions: Abrasions, abscesses and foreign bodies (simple) Simple lacerations and glue Difficult lacerations Wounds in difficult places Treating open fractures, including plastering techniques / back slabs Treatment options for clean lacerations Bandaging techniques Treatment options for ragged lacerations Lipomas and cyst removal Skin biopsy and facial wounds Presentations Treatment options for abscesses Wound care and minor trauma incorporating minor burns Treatment options for abrasions Managing hypertrophic and keloid scarring Removing foreign bodies from eyes Additional details will be posted as soon as they are available. Core Skills: Level 2 Oncoplastic Surgery Workshop is organized by Clinical Training & Evaluation Centre (CTEC) and will be held on May 20, 2019 at CTEC - Clinical Training and Evaluation Centre, Perth, Western Australia, Australia. The target audience for this medical event is Oncoplastic Breast & Plastic Surgeons, Fellows. Conference Description: This conference will provide participants with the opportunity to learn oncoplastic breast surgical procedures. This conference focuses on a combination of surgical techniques which aim to provide best aesthetic outcomes with optimal surgical treatment and management of breast cancer. It will use a combination of pre-reading, discussion and dissection in a supportive, stress-free environment. Participants will have access to hands-on training in small groups under the guidance of expert faculty. The workshop is particularly beneficial to those who have had limited exposure to procedures in the clinical setting. Conference Objectives: This workshop will focus on the following surgical procedures in dedicated cadaveric practical sessions: • Mastectomy with subpectoral expander reconstruction • Serratus flap • Dissection thoracodorsal pedicle • Pedicled TRAM flap • Umbilical reconstruction • Mesh repair abdominal aponeurosis • Latissimus dorsi flap Additional details will be posted as soon as they are available. JDocs: Emergency Procedures Workshop is organized by Clinical Training & Evaluation Centre (CTEC) and will be held on May 24, 2019 at CTEC - Clinical Training and Evaluation Centre, Perth, Western Australia, Australia. The target audience for this medical event is Junior Doctors - Interns, House Medical Officers, Resident Medical Officers and Service Registrars. Conference Description: This conference aims to assist Junior Doctors in attaining an improved level of confidence and hands-on experience in a range of procedures, skills and behaviours for medical and surgical emergencies. 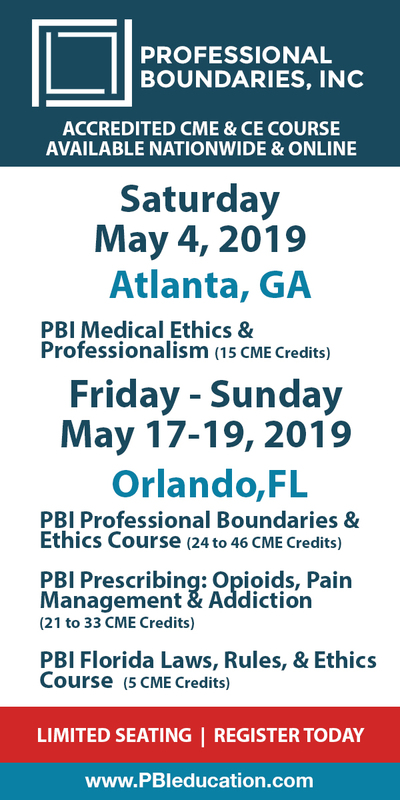 In this conference hands-on workshop features content specifically designed to meet the essential surgical skills required to apply for specialty training. It is an excellent introductory level workshop in a supportive environment for participants with limited experience in medical and surgical emergencies. Workshop Content: Cadaveric Arm Practical Sessions: • Skin flaps • Advanced suturing • Difficult lacerations Presentations and Animal Tissue Practical Sessions: • Supra-pubic and intercostal catheter insertion including tube function, catheter security, urinary catheterisation and aseptic technique • Proctoscopy and rigid sigmoidoscopy including patient positioning, proctoscopy assembly, digital examination and removal of foreign bodies • Basic ultrasound scanning techniques including ultrasound terminology and definitions, scan planes, patient positioning, generic knobology, image interpretation and cannulation under ultrasound • Atraumatic tissue management, facial injuries, simple lacerations and skin biopsy Presentation and Practical Session: • Practical plastering, principles of immobilisation, prevention of complications, correct and safe application, fractures Additional details will be posted as soon as they are available. Advanced Paediatric Life Support (APLS) Course is organized by Advanced Paediatric Life Support (APLS) Australia and will be held from May 29 - 31, 2019 at Rendezvous Hotel Perth Scarborough, Perth, Western Australia, Australia. The target audience for this medical event is doctors, nurses and paramedics looking to increase their confidence and clinical skills in paediatric acute care. CPD Accreditation: Candidates who are members of RACGP & ACRRM may be eligible to receive 40 QI&CPD points for an Accredited Category 1 Activity. Course Description: The course covers the following themes: Life support • Basic life support • Advanced support of the airway and ventilation • Cardiac arrest management and defibrillation Diagnosis and management of the seriously ill child • Breathing difficulties • Shock • Abnormal pulse rate and rhythm • Decreased conscious level • Convulsing child Diagnosis and management of the seriously injured child • Chest injury • Abdominal injury • Head trauma • Spinal injury • Burns and scalds • Electrical injuries and drowning Practical procedures • Airway and breathing • Circulation • Trauma • Interpreting trauma X-rays • Stabilisation and transfer Further topics • Fluid and electrolyte management • Acid-base balance • Pain management • Septic child • Neurological assessment • Resuscitation of the baby at birth and more Additional details will be posted as soon as they are available. Perth Nurses' Conference is organized by Ausmed Education Pty Ltd and will be held from May 30 - 31, 2019 at Holiday Inn Perth City Centre, Perth, Western Australia, Australia. This seminar has been approved for a maximum of 11.00 CPD Hours. Course Overview: Ausmed believes it is essential that nurses living in the Perth region have access to effective and engaging CPD on an annual basis. We look forward to receiving your support to ensure that this Local Nurses’ Conference is brought to Perth every May. Book your place at this year’s event and: • Gain new knowledge for contemporary practice • Network, share experiences and connect with like-minded colleagues • Help meet your CPD requirements • Enrich your professional practice and personal growth • Improve health outcomes specific to your local community and much, much more… Need for Program: Engaging in CPD is essential for all health professionals to maintain, improve, and broaden their knowledge, skills, and practice. CPD assists health professionals to stay up-to-date with changes in clinical practice and emerging new evidence in order to enhance their patient outcomes. It is also a professional registration requirement. There is a need for formal CPD to be provided directly to regional Australian nurses, midwives, and other health professionals who may not otherwise be able to access engaging and effective continuing education. Purpose of Program: The purpose of Ausmed’s local nurses’ conferences is to provide health professionals who work in regional Australia with current knowledge about a range of professional and clinical practice topics that will improve the provision of holistic care. Learning Objectives: • People with health risks will receive preventative care and education to avoid illness • Better patient outcomes will be achieved through the application of up-to-date knowledge related to specific interventions • Interprofessional collaboration will be optimised to enhance patient outcomes • Patient outcomes will be underpinned by evidence-based practice, recognised standards, and guidelines Additional details will be posted as soon as they are available. The Cutting Edge: Emergency Procedures is organized by Clinical Training & Evaluation Centre (CTEC) and will be held from May 30 - 31, 2019 at CTEC - Clinical Training and Evaluation Centre, Perth, Western Australia, Australia. This CME Conference has been approved for a maximum of 40 (Category 1). Conference Description : The two day Cutting Edge: Emergency Procedures cadaveric workshop for General Practitioners and Nurse Practitioners focuses on medical emergencies and improvising with ‘everyday’ equipment that can be substituted for medical equipment, especially in rural and remote areas. This enables the provision of a greater level of service to patients and the community living in these areas. Workshop Content : Presentations and Fresh Frozen Cadaveric Practical Sessions: • Lacerated eye lid • Inhaled foreign body/removal of foreign body • Surgical airway • Nasal packing • Drainage of quinsy • Cricothyroidotomy • Tracheostomy • Haemostasis and burns skills • Venous cutdown, intraosseous needle, compartment syndrome/fasciotomy • Suprapubic catheter insertion • Pelvic binding and external fixator • Intercostal catheter, thoracotomy • Burr hole • Local anaesthetic infiltration (dental) • Vascular shunt Presentations, Animal Tissue and Simulation Practical Sessions : • Perineal repair • B-Lynch suture • Lumbar puncture Presentations : • Dental reimplantation and stabilisation • Stabilisation of jaw, dental emergencies Additional details will be posted as soon as they are available. GI Skills Training: Endoscopy Nurse Training Workshop is organized by Clinical Training & Evaluation Centre (CTEC) and will be held on Jun 12, 2019 at CTEC - Clinical Training and Evaluation Centre, Perth, Western Australia, Australia. This CME Conference has been approved for a maximum of 3 Continuing Professional Development (CPD) points. Description ; Endoscopic equipment and accessories have become increasingly complex in recent years. There is a need to constantly update practice and knowledge to ensure that the patient receives the highest standard of care. This free half day workshop provides Western Australian Endoscopy Nurses with the opportunity to gain up to date knowledge in this specialised field and to be better equipped to assist in endoscopic procedures. 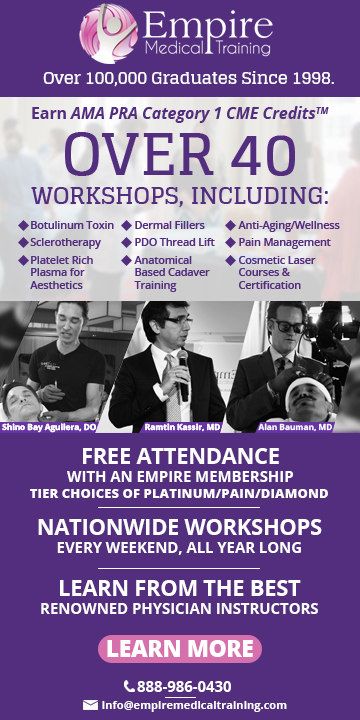 This workshop features a combination of valuable hands-on endoscopic experience and didactic sessions. Components of the workshop will provide nurses with an understanding of difficulties encountered in endoscopic procedures. It gives nurses the opportunity to understand the challenges of endoscopic procedures from an endoscopist’s perspective and the role of the assisting nurse in critical situations. By the end of the workshop, nurses will have deepened their understanding and skills in the following: Workshop Content Practical Sessions ; • Upper and lower GI tract anatomy and physiology • Scopes from the doctor’s perspective • Endoscopic troubleshooting • Handling scopes in models • VR Endoscopy Simulator • Foreign body retrieval • Cold snaring polypectomy Presentations ; • The role of Endoscopy Nurses • Role of the Endoscopist and expectations of the assisting nurse in critical situations • Endoscopic diagnostic and therapeutic modalities • Polyps, clipping, EMR, cold snaring and sclerotherapy Additional details will be posted as soon as they are available. JDocs: Introduction to Surgical Skills Workshop is organized by Clinical Training & Evaluation Centre (CTEC) and will be held on Jun 14, 2019 at CTEC - Clinical Training and Evaluation Centre, Perth, Western Australia, Australia. The target audience for this medical event is Junior Doctors - Interns, RMO/Residents & Service Registrars. Conference Description: The JDocs: Introduction to Surgical Skills workshop aims to assist Junior Doctors in attaining an improved level of competence in the basic techniques required for minor surgery. Designed in response to feedback from Junior Doctors, this workshop features additional content specifically designed to meet the essential surgical skills required to apply for specialty training. This conference focuses on the most commonly performed surgical procedures. Safety is emphasised as well as the hands-on consolidation of existing skills and the acquisition of one sound technique in each skill area. Junior Doctors will be equipped with a reliable foundation in minor surgical skills, utilising RACS certified techniques. It is an excellent introductory level workshop in a supportive environment for participants with limited background in procedural skills. Conference Objectives: ○ Surgical Set Up: • Instrument set up, hand hygiene, gowning and surgical prepping ○ Instrumentation • Educates participants in safe handling practices and appropriate instrument choice ○ Knot Tying • Teaches knot tying appropriate to a variety of suturing techniques, including both single and double hand ties ○ Local Anaesthesia • Assists in the safe planning, choice and administration of local anaesthesia ○ Suturing Technique • Participants will take part in hands-on session teaching a variety of suturing techniques including mattress and subcuticular suturing ○ Lesion Biopsy • A further hands-on session teaching sub-cutaneous skin biopsy and lesion excision ○ Electrosurgery • A presentation and demonstration on the safe use of diathermy. Includes bi-polar, mono-polar, sonicision and laser techniques. ○ Dressings • A presentation on wound assessment, indications and types of dressings, and basic burns management. Additional details will be posted as soon as they are available.